honored to announce another big sized conference as the opener of the winter term: higher education - art history at school! it's my first conference in cooperation with another foreign university. 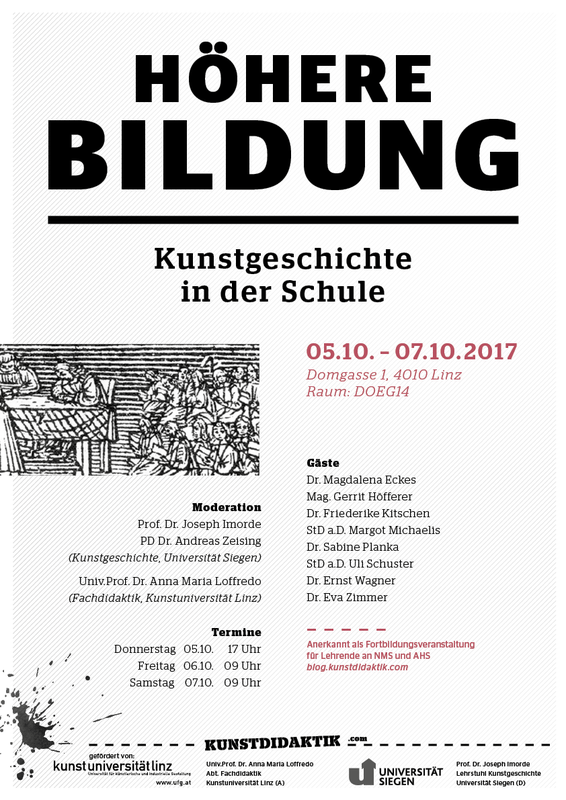 Prof. Joseph Imorde and PD Dr. Andreas Zeising of the University of Siegen are my partners in art (ed) times and we are pleased to invite international guests to Linz. 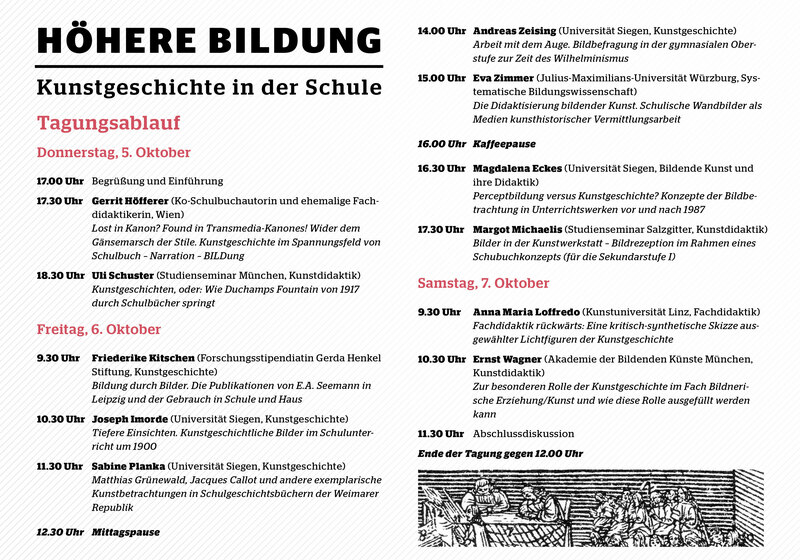 the conference is also part of the teacher lifelong learning program (sign in here if you're teaching at school). let's debate and research together!